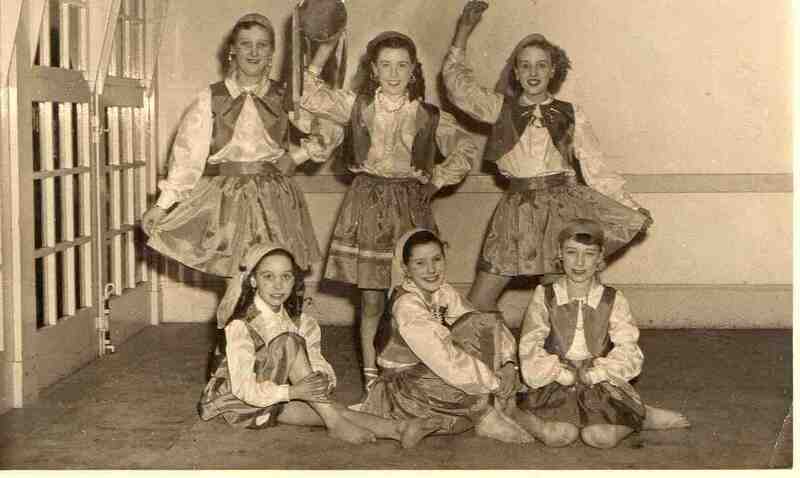 Renee Marrison’s Dancing Troupe 1954. Back row – left to right: Valerie Fox, Janice Royston, Margaret Smith. Front row – left to right: Christine Batty, Sylvia Cochrane, Jean May.